But I was reminded of the incident last week, when I was fined for jaywalking in my hometown of Sydney. Afterwards, it occurred to me that our workmate’s reaction was probably a product of the fact that we live in such a rule-bound city. There are reams of rules governing our behaviour in every public space, and plentiful signage driving home the many Thou Shalt Nots. No rollerblades. No loitering. 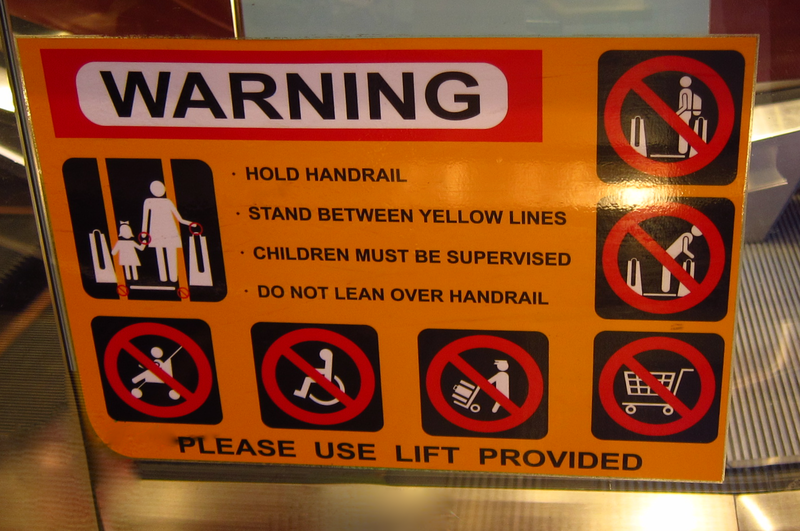 No wheelchairs on the escalator. No smoking outside this designated zone. At the time we became flagrant lawbreakers on the streets of Paris, I didn’t know we weren’t allowed to cross the Place Charles de Gaulle because I didn’t see any prominent prohibitive signs such as you’d expect when you’re Not Allowed to do something in Sydney. But even if we had known, we almost certainly would have crossed anyway. For one thing, it was 10.30pm and there was nowhere near the volume of traffic the roundabout is known for at its most hectic. So it wasn’t actually a dangerous proposition. It was also only a couple of months since we’d mastered the art of crossing the much busier streets of Ho Chi Minh, and it struck us that Parisian road rules were characterised by the same elasticity. A red light most certainly meant stop, but other road rules seemed to be open to interpretation – more a loose set of guidelines than a rigidly enforced body of law. Similarly, in Switzerland I was delighted to have my expectations of rule-abiding exactitude smashed the first time we caught a train. 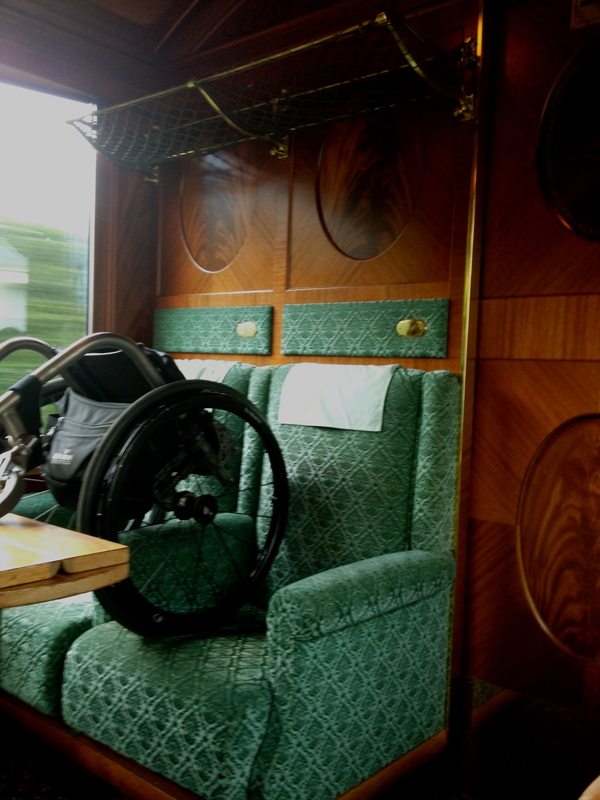 As we boarded a scenic service reminiscent of the Hogwarts Express, we realised the wheelchair was the precise width of the inner door – therefore unable to pass through it. Our seats were just inside the door, so my boyfriend launched himself gymnastically into his not-too distant spot, and I prepared to find somewhere to store the wheelchair outside our carriage. Enter the conductor. Ruthlessly efficient in his disregard for rules, he forced the chair through the door with a groan of metal scraping across immaculately finished wood, and hoisted it onto one of the plushly upholstered seats across the aisle from us. Indeed. A swift and simple solution that would never have occurred to us, because we’d assumed that – much like feet – wheels would not be allowed on train seats. A rule without exceptions. That’s not to say that we Sydneysiders are the only ones prone to letting the rules overreach their purpose. In both France and Italy, we encountered incredibly inflexible, convoluted and self-defeating rules around accessible seating on trains. And staff at London’s Heathrow station interrogated us far more thoroughly than British customs did, before they were satisfied we should be allowed onto the Tube just as we’d been trusted to enter the country. I guess that’s the pitfall with rules. They exist to ensure our comfort and safety, but when they are too rigorously applied, they so easily become instruments of oppression. Just navigating the rules in an unfamiliar system can be an exhausting and time-consuming process. And there’s often not much you can do to avoid it. But at some point we discovered if you squint at the situation from just the right angle, the Fawlty Towers effect kicks in. The relentless insistence on complicating straightforward tasks with rigid obeisance to the rules ceases to leave you battered and bound. And you begin to laugh at the unchoreographed comedy of bureaucracy. 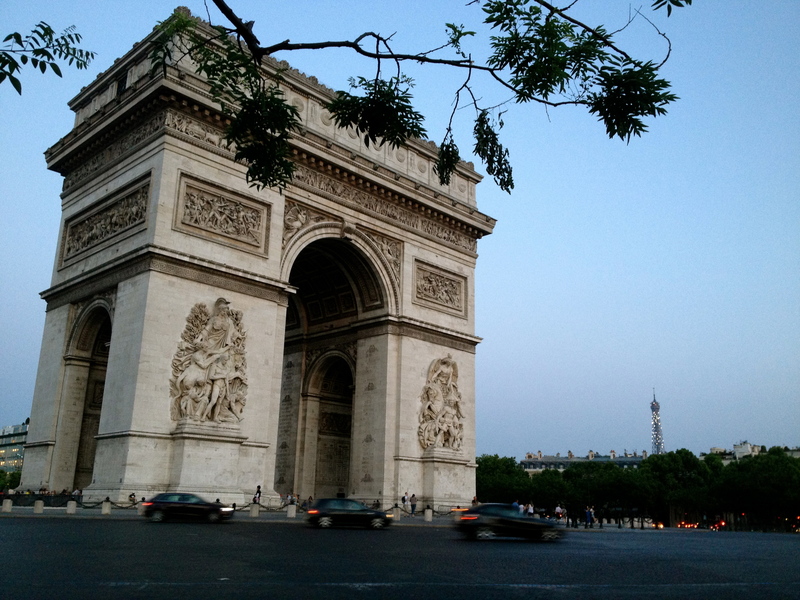 This entry was posted in England and Europe (July 2013), Travel stories and tagged accessibility, adventure, customer service, rules, spontaneity, traffic, travel, wheelchair. Bookmark the permalink.